Recorded at ICP (B), Saraswati (P) and Artamis (CH) Studios. Mixed and engineered at Relief studios (CH). Mastered at Sterling Sound NYC. After having become a fan in the late 80s upon my first listen of "L'Amourir" from a 12" vinyl record, subsequently followed by the self-titled debut album and then the absolutely masterful "L'eau Rouge", I considered myself a "fan" of TYG up until their post-"TV Sky" period which unfortunately, and quite personally felt like a re-hashed and re-heated version of their now formulaic brand. It wasn't until "Second Nature" where I reconcilled with The Gods and have tried once in a while to touch base with the project whenever I was able to be exposed to their unique sound. "Everybody Knows" is quite a strange acheivement, even for one of the most ever-changing and evolving post-industrial (or indusmetal) bands, as they have once and for all made certain that their decades worth of touring, recording, and exploring serve as a blueprint to where they are, or rather were, at that moment in time. A grand tour de force strictly in terms of production, TYG seem to have said a final goodbye to their heavier sampled speedcoremetal guitar riffs and frantic drummings with "Super Ready" and have now entered a different level to their sound, incorporating elements from all of their previous explorations, be it "Deconstructing Heaven" or "Music For Artificial Clouds" and infused it with a post flower-power psychedelia in the form of accoustic guitars and tight percussion work interlaced with more layers of sampling and electronics than most of their previous records. 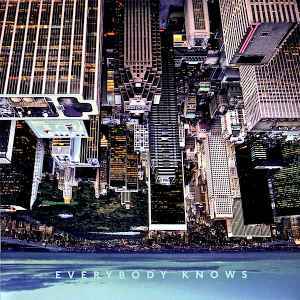 Aside from the aforementioned previous experimental albums from The Gods, "Everybody Knows" may be their most "electronic" sounding official release yet while remaining true to their form­. Granted, old timers who prefer their artists to remain pure to their origins, and newcommers just discovering 20 some odd years later the earlier TYG sound may not find much in common with this release, which to a certain level could be considered a sort of changing point in the band's direction. "Everybody Knows" feels like the accumulation of decades' worth of experiences and the continual renewal of one's desire to keep moving forward while keeping the origins more subtle in terms of influences than straight up blatant in your face. "Tenter Le Grillage" and "No Land's Man" may be the closest to earlier Gods sounding pieces, the first sung in french and generating a feeling not unlike "Only Heaven", the latter seemingly infused with a frantic presence of Jimi Hendrix' spirit in the recording studio. Personal highlights are "Mr Sunshine", a strange departure from their (un)usual selves complete with a mixture between flower power uplifting relaxation and a colder nostalgic side as well. "Blooming" and "Once Again" do offer a more modern take of the sound, not dissimilar to stuff off of "Second Nature" or "Super Ready" for that matter. My prefered piece remains "Miles Away" which is simply pure magic in the making as the piece evolves continuously while being careful grounded in its own energy and pattern. A strong contender for my own all-time favorite TYG moment alongside "La Fille De La Mort" although they do not have all that much in common, come to think of it! "Everybody Knows" may not be remembered as fans' favorite full length studio album from The Young Gods, but may very well be one of their most important one.